Check out my latest thrifting find! 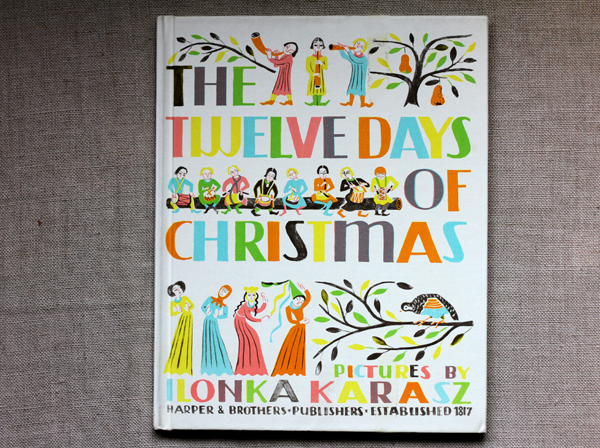 Vintage Book : "The Twelve Days of Christmas" illustrated by Ilonka Karasz. We were looking for ugly sweaters a few weeks ago and this beauty was sticking out on the bookshelf calling my name. It has been on my list for a few years, and bam... there it was! Have you seen this book before or did you know AIGA liked it back in the day? Don't you love the colors? Doesn't it seem like when you are looking for something else you find unrelated gems? Have you found anything on a thrifting trip lately? What are your favorite Christmas or holiday books, I would absolutely love to hear your favorites as we are slowly building our collection so we can do this. ps. The least expensive used copies of this book I've seen are sold by sellers here . Beautiful illustrations! Love the post. The illustrations are truly lovely. Such vibrant and cheerful use of color, which to me is what the season is all about: happiness and joy. 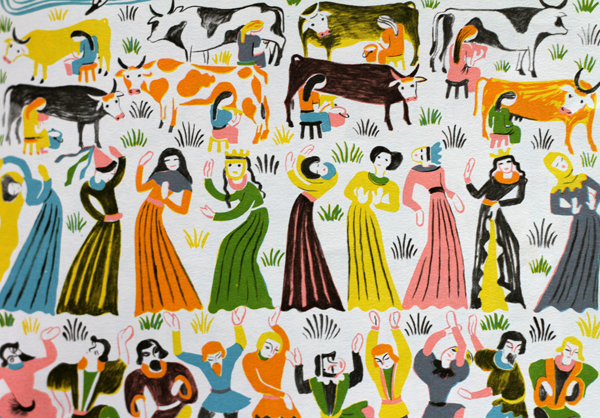 I adore these illustrations! They are so colorful and vibrant. A month or so ago I found one of the first Architectural Digests from 1920. I almost fell over when I realized what I had :) There is something to be said for keeping your eyes peeled and sifting through others castoffs. I have found some really fabulous things at thrift stores, estate sales, and flea markets. 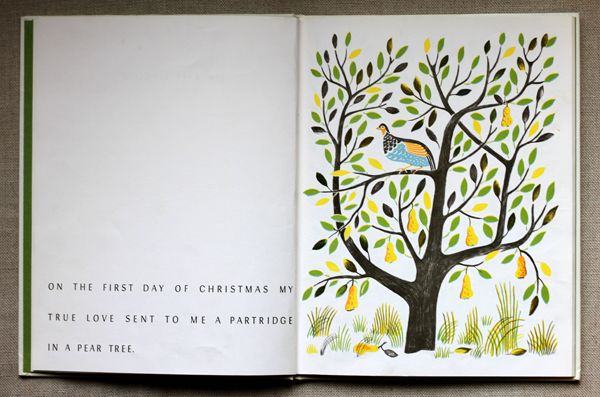 i love vintage books...this one is stunning. you're right, the colors are perfection! I saw this book a couple weeks ago on Vintage Children's Books My Kid Loves (http://www.vintagechildrensbooksmykidloves.com/) and was totally drooling over it. What a find! How much did you end up paying for this gem! ?